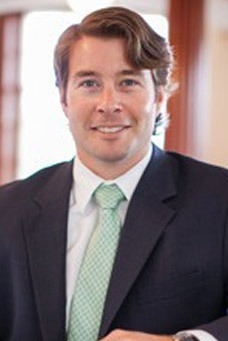 Born and raised in Andover, Massachusetts and a graduate of Gettysburg College, Attorney Douglas Henderson joined the Kiley Law Group as an intern in 2011. Since that time, Doug has become an integral part of the Kiley Law Group’s legal team through his dedication to helping those who have been injured by the carelessness and negligence of others. Doug graduated from Andover High School in 1998, where he was a Captain of the Varsity hockey team. Thereafter, he took a post-graduate year at the Williston Northampton School in Easthampton, Massachusetts, where he excelled academically and was a standout on the men’s Varsity football, hockey and lacrosse teams. He continues to participate in men’s hockey leagues throughout Massachusetts and New Hampshire and he is an avid outdoorsman, always looking for an opportunity to ski, hike or fish. Attorney Henderson’s passion for athletics and his tenacity on the field and ice have carried over to his legal career. Since his induction to the Massachusetts Bar in 2012, his unwavering commitment to the law and his clients has resulted in substantial and favorable outcomes for his clients. Attorney Henderson’s integrity, compassion and empathetic nature fuel his desire for justice and his drive to get his clients what they deserve.